Our prices are competitive every day of the week – no sale tag is required. Our stock range is bought in bulk and therefore we can pass the tremendous savings on to you. We don’t ‘mark up to mark down’ instead preferring to show realist values on our products. Whether you are buying from our stock range or from our special order showroom we guarantee our prices to be very competitive. If you find a ‘like for like’ product elsewhere at a cheaper price – we will investigate and price match where possible. 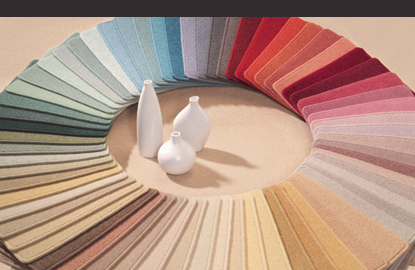 We also offer a selection of what we would describe as ‘non-investment’ carpets. This is a range where prices start from £5.99m2 to £11.99m2. We have carefully selected this range to offer practical solutions at a price. We won’t ever sell you a carpet that is not fit-for-purpose however there are times when quality is not necessarily the priority. Ideal for kids room, spare rooms, bathrooms etc where either the lifespan is not the priority or maybe for a room that receives little use. This is also a great way of inexpensively refreshing a property for re-sale. Knowing that you have floored a room in a quality covering at fraction of the cost is a very satisfying feeling. Glenearn is known for its quality ranges however when we come to the remnants of a roll, this is heavily discounted – up to 75% off and transferred to our Clearance department. 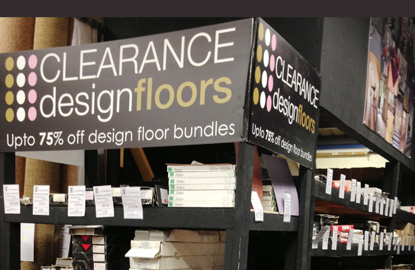 It’s not just carpet either, ex-stock from all our departments can be found in our clearance section, including Amtico and Karndean bundles, rugs, vinyls and wood flooring. The Clearance section is constantly being added to so it is well worth keeping an eye out for amazing bargains.